Located at the foot of King Ortles, the Church of the Three Holy Wells in Trafoi tells a special story: In the 13th century, the shepherd Moritz saw three little streams break from the rocks in the spot where the chapel now stands. Each of the streams carried a cross. The shepherd was able to grab two of them, but the third was washed away. When the little church was erected in the 15th century, the site became a place of pilgrimage – and the healing powers of the holy wells are still spoken of today. 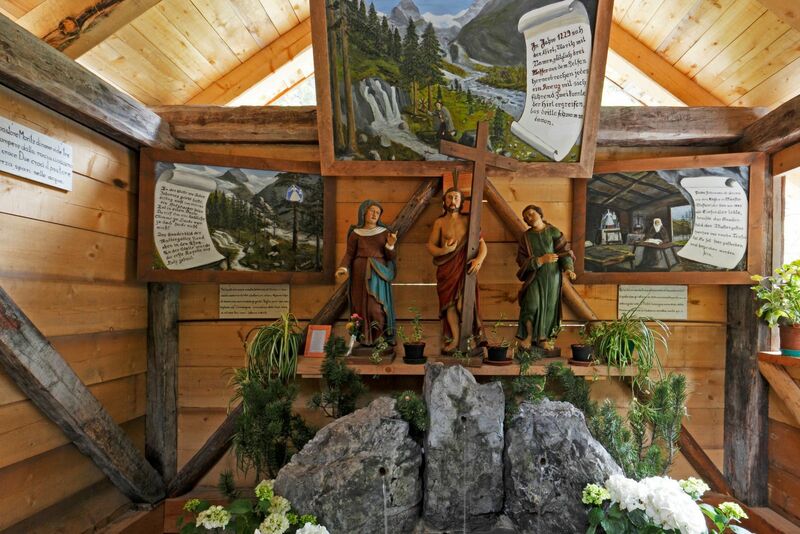 This peaceful pilgrimage site lies approximately three kilometers from the village of Trafoi and is a worthwhile destination for both summer and winter excursions. The one hour hike starts from the national park visitor center naturatrafoi (1.540 m) and leads to the “three Holy Wells of Trafoi” church.